This MOVE-IN ready 1 bedroom, 1 bathroom 2nd floor unit with a detached garage has been tastefully remodeled. Inside this 965 sq. ft. condo, you will find a freshly painted interior with crown molding and new luxury vinyl floors in the main living area and bedroom. The kitchen has been updated with GRANITE counter tops and refinished cabinets. The bathroom has been updated with Granite counter tops with a brand new double vanity. Other upgrades include a new HVAC system in 2017, new Water Heater in 2017, new light fixtures, and ceiling fans throughout the home. 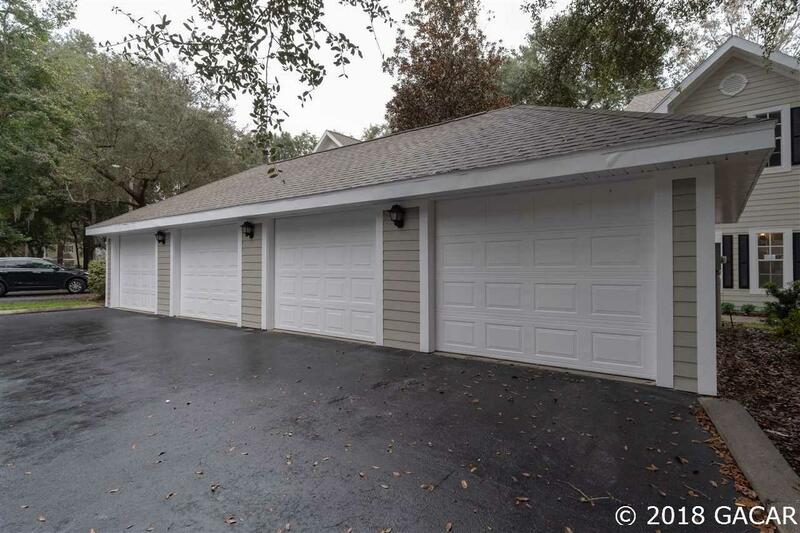 This community requires minimal upkeep and includes a detached garage to store your vehicles safely. In your free time enjoy The Links pool, gym, or 15 miles of trails throughout our Haile Plantation Community. Walk to the Haile Village to browse through shops, restaurants and the Saturday morning farmers market.